The Passaic, N.J., father of five who won the $338 million Powerball jackpot claimed his coveted prize Tuesday, describing the moment he won the jackpot as "pure joy" and "just happiness." 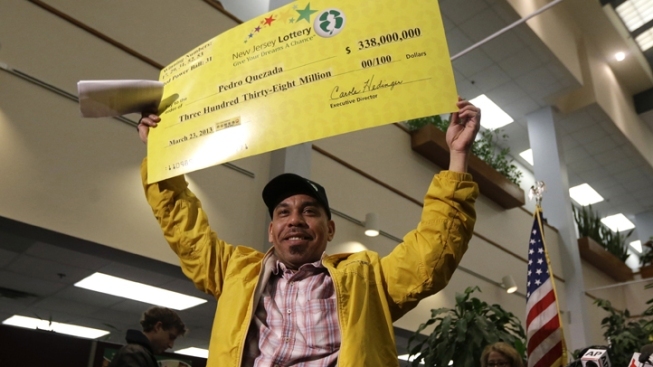 Wearing a bright yellow windbreaker and even brighter grin, Pedro Quezada said he didn't have all the answers just yet, as New Jersey Lottery officials introduced him in a news conference in Lawrenceville. After living in the United States for 26 years, he wasn't sure if he would return to the Dominican Republic or stay in New Jersey. 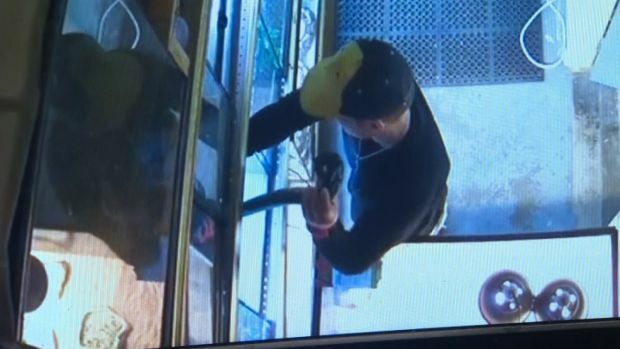 He said he knew his life would change immediately in some ways: neither he nor his son would return to the bodega his family operated from early morning to late night. My life "has to change — because imagine so much money, but it will not change my heart," Quezada said in Spanish. A single Powerball ticket sold in Passaic, N.J. matched all six numbers in Saturday night's drawing for the $338.3 million jackpot, lottery officials said Monday. Pat Battle reports. Quezada said he would get himself a "good car" and his wife "whatever she wants." When a reporter asked what he currently drives, he replied "my feet." The 44-year-old purchased the lottery ticket at Eagle Liquors in Passaic, N.J., and matched all six numbers in Saturday night's Powerball drawing, winning the the fourth-largest jackpot in Powerball history. 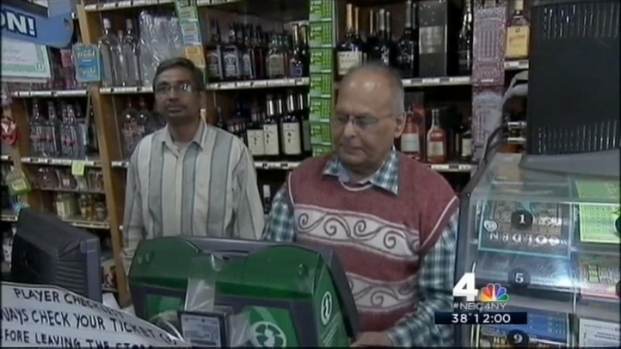 On Monday, the bodega owner walked into the liquor store, packed with reporters waiting to meet the winner, and had his ticket validated, but lottery officials could not confirm his name. The family's apartment sits at the end of a short dead end block that abuts a highway. Neighbors stood out in the rain Monday night and spoke with pride that one of their own had struck it rich. The liquor shop owner himself is due $10,000 for selling the lucky ticket. Thirteen other tickets worth $1 million each matched all but the final Powerball number on Saturday night. Those tickets were sold in New Jersey, Arizona, Florida, Illinois, Minnesota, North Carolina, New York, Ohio, Pennsylvania, South Carolina and Virginia. Two were sold in both Florida and Pennsylvania. The numbers drawn were 17, 29, 31, 52, 53 and Powerball 31. A lump sum payout would be worth $221 million.